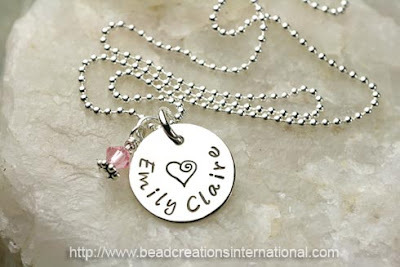 This special is form June 25th - August 25th for a Childrens Hand Stamped Necklace. 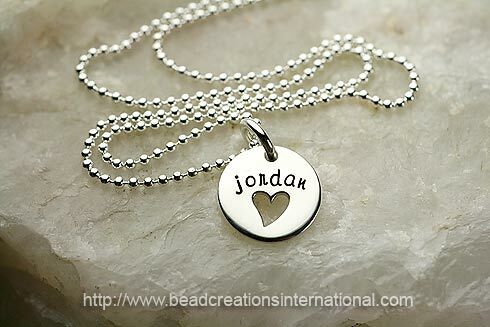 These necklaces are on sale starting at $26.00. Click here to see them. 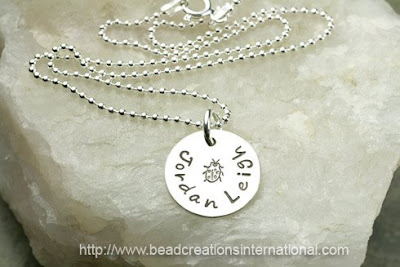 These have to be purchased on the "Monthly Specials" page if you do not and purchase them on the "Children's Hand Stamped Necklace" page I will not reimburse you the difference. So please make sure you go to the right page to purchase these. For you adults that would like something like this there is an option for a 18" chain for an additional $2.00. Choose your deisgn stamp click here.